I’m not sure how many of this type there are on Islay, this is a natural arch going over the sea and it is possible to (carefully) walk over it. Most of the other natural arches (I know of) are over dry land. This one is on the west coast of the Rhinns of Islay, not far from Lossit Bay (just visible in the background). 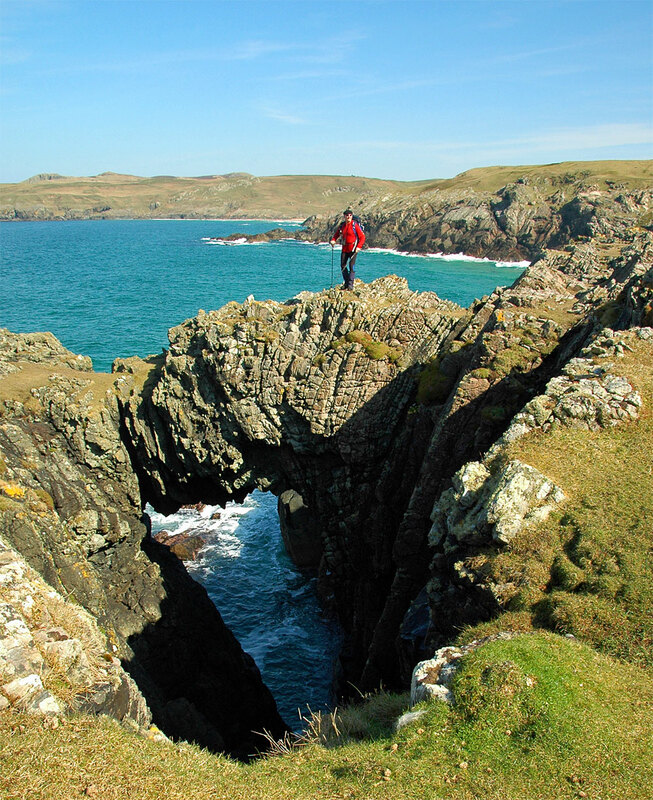 This entry was posted in Landscape, Repost, Sunny Weather and tagged Islay, Lossit Bay, natural arch, Rhinns of Islay by Armin Grewe. Bookmark the permalink. The picture doesn’t fit onto my screen but is still my favorite for today. But if I zoom in to 50% it does fit.